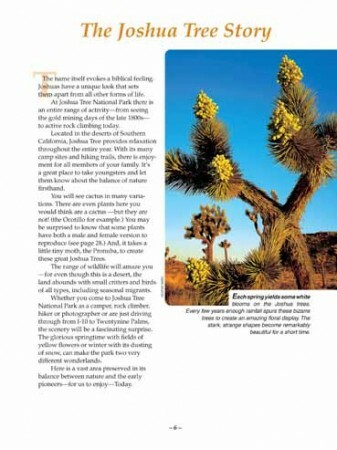 Whether you come to Joshua Tree National Park, California, as a camper, rock climber, hiker or photographer--or just pass through as a sightseer, the scenery will be a fascinating surprise. 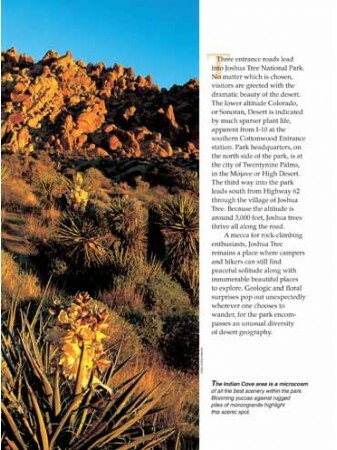 The largest national park in the lower 48 states, it is a vast area preserved in its balance between nature and the early pioneers for us to enjoy today. 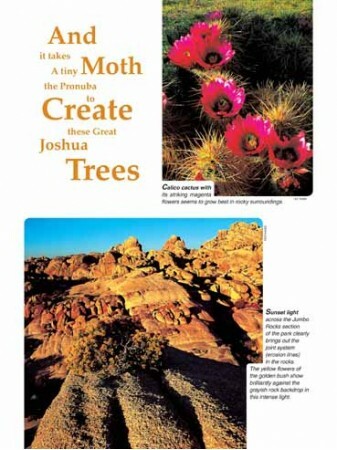 Seasons change the facade of the land at Joshua Tree. 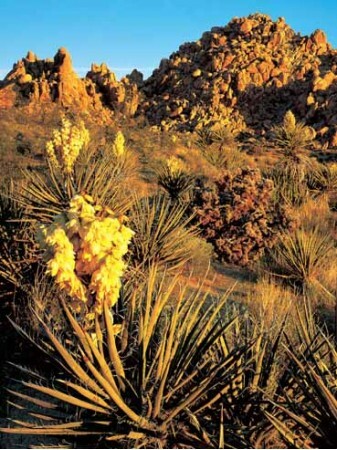 Spring presents carpets of yellow flowers and summer shows a shimmering landscape of rising heat waves. 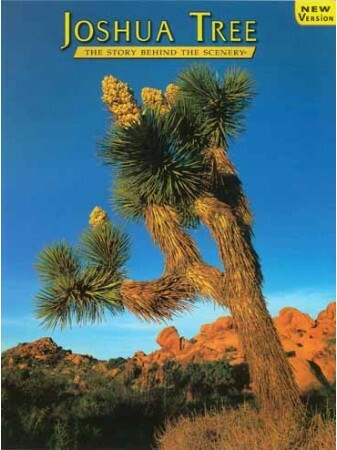 Winter, with its occasional sprinkling of show, can change that same landscape into a fantastic science-fiction scene, dominated by Joshua tree arms. 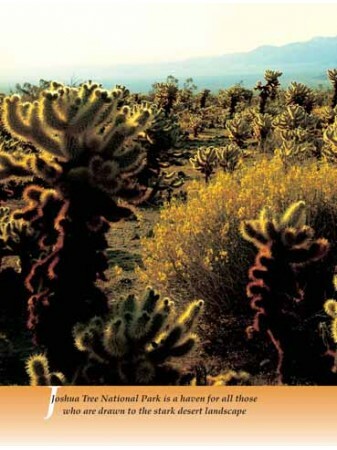 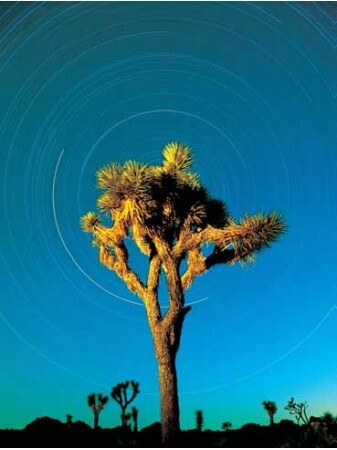 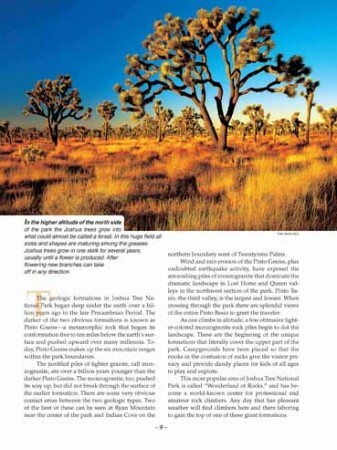 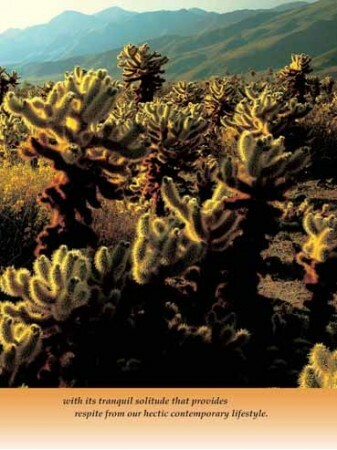 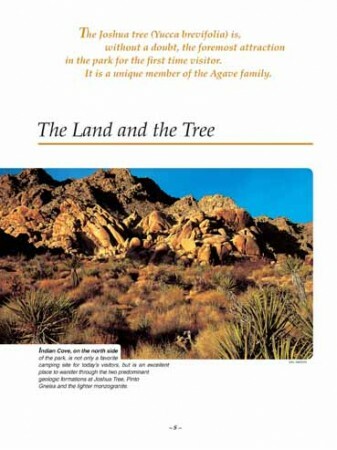 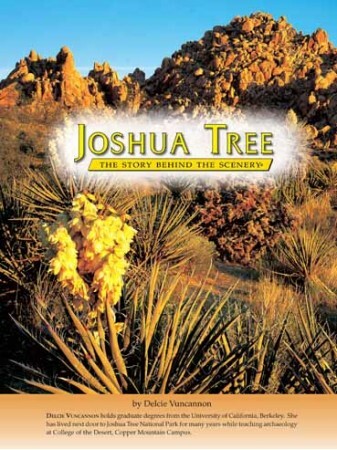 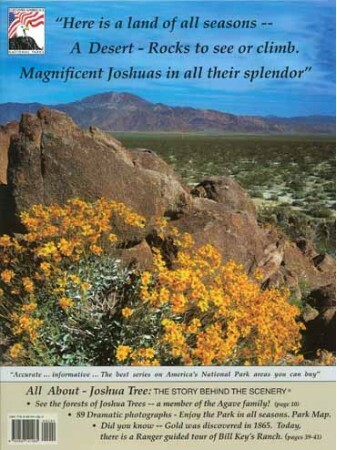 Joshua Tree, the Story Behind the Scenery, leads the reader through the many facets of the park's beauty, documenting the history of the area's interaction with humans, both Native Americans and the later arriving white men. 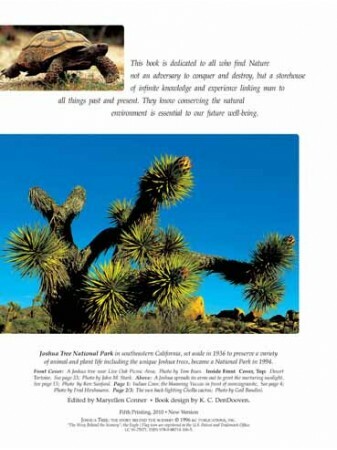 You'll be fascinated by the passion of private citizens who petitioned the national leaders to preserve this vast desert.